SuperStream Delay – Will You Be ready? How ready is your business for SuperStream? 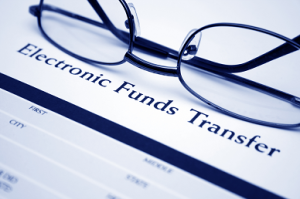 Is you SMSF bank account able to receive electronic contribution payments? SuperStream is a government reform designed to improve the efficiency of the superannuation system. Under SuperStream, employers must make super contributions on behalf of their employees by submitting information and payments electronically in a consistent and simplified manner. To do this successfully they may need to gather additional information from their employees. SuperStream’s introduction has been deferred until July 2015 for employers with 20 or more staff and to 2016 for smaller businesses and organisations. an electronic service address (ESA) for receipt of a contribution data message. You will need to ensure your SMSF bank account is able to receive electronic contribution payments and your SMSF can receive a contribution message with information about these payments in the SuperStream format. To receive contribution messages electronically you will need to obtain an electronic service delivery address. A register of SMSF message service providers is available on the Tax Office website.